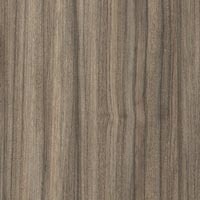 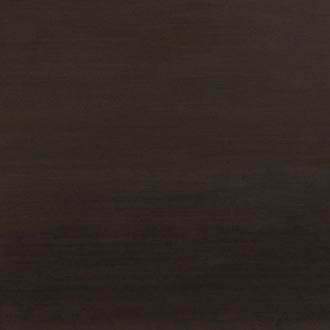 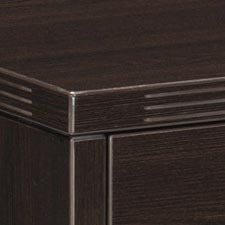 Napa Reception Station 71x71x42, Espresso/Urban Walnut Laminate Finish. 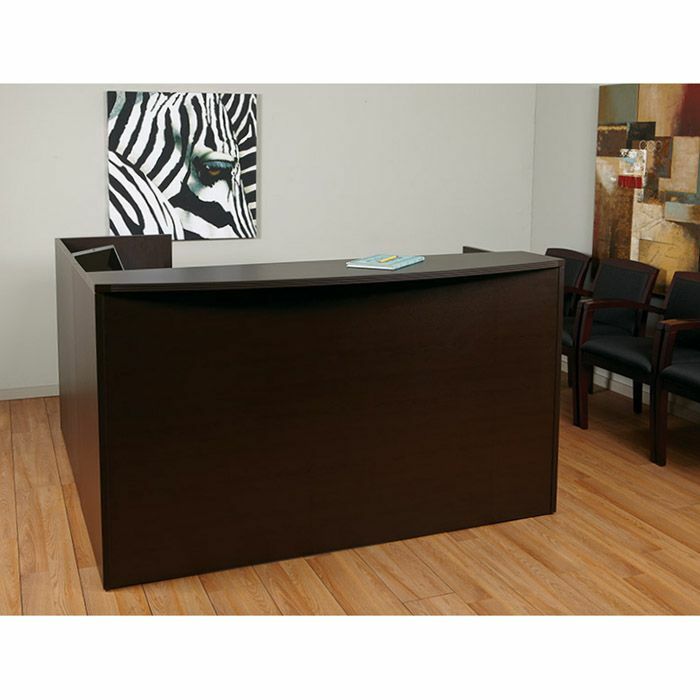 Includes Reception Desk Shell, Reception Return Shell, 2-Box/File Hanging Drawer Pedestals. 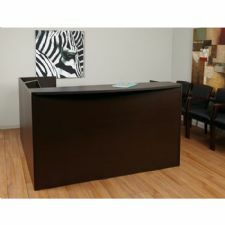 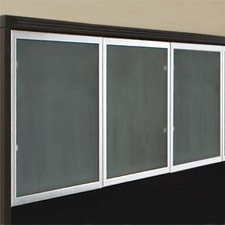 NAP-122 Reception Desk Shell 72"X36"X42"H - 107 lbs. 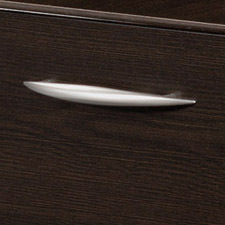 NAP-80 Box/File Hanging Pedestal, 22"D - 60 lbs. 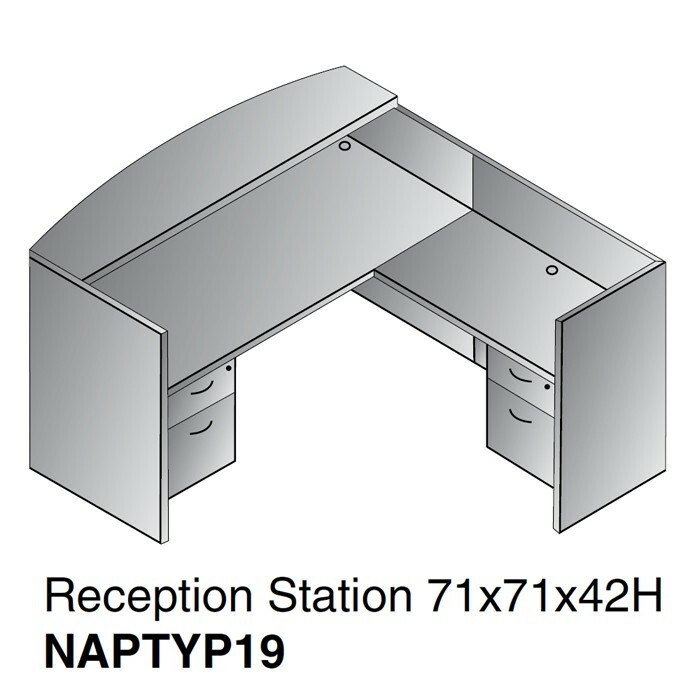 NAP-125 Reception Return Shell 42X24 - 100 lbs. 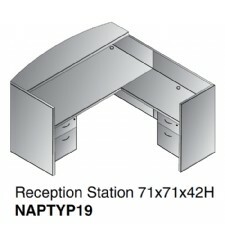 NAP-76 Box/File Hanging Pedestal, 18"D - 51 lbs.